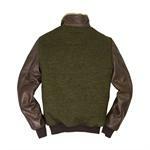 The Sweater G-l Jacket is a military inspired wool knit with tough oiled calfskin leather sleeves and pocket detail. Its body has been crafted from olive Italian sweater knit and lined with Sherpa trim. 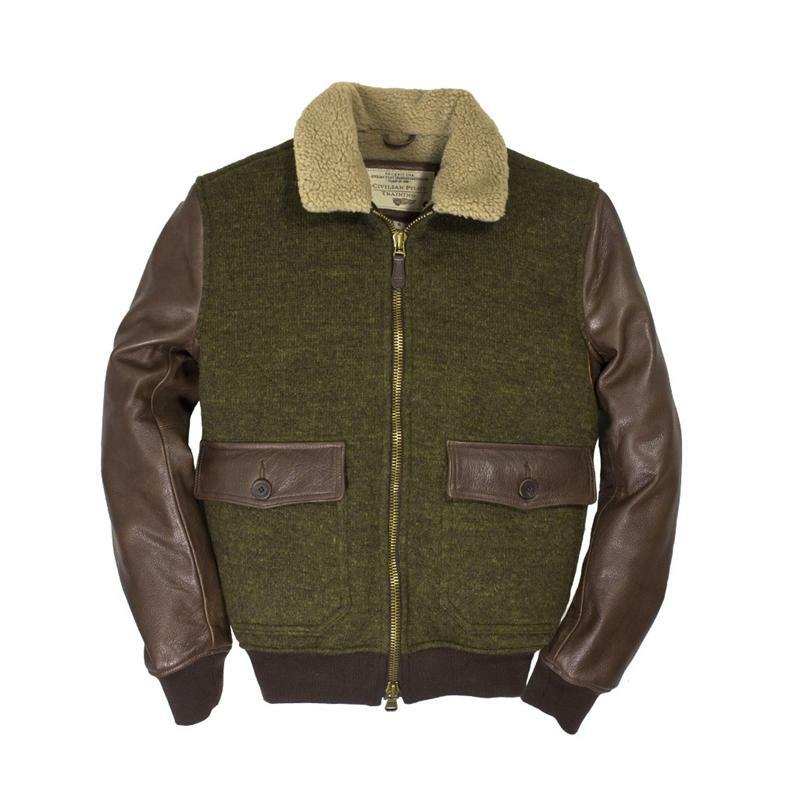 Inspired from the iconic US Naval Aviator’s jacket, the G-1 is not only highly fashionable but is also very cozy & comfortable, especially for cool fall and early winter days and nights. 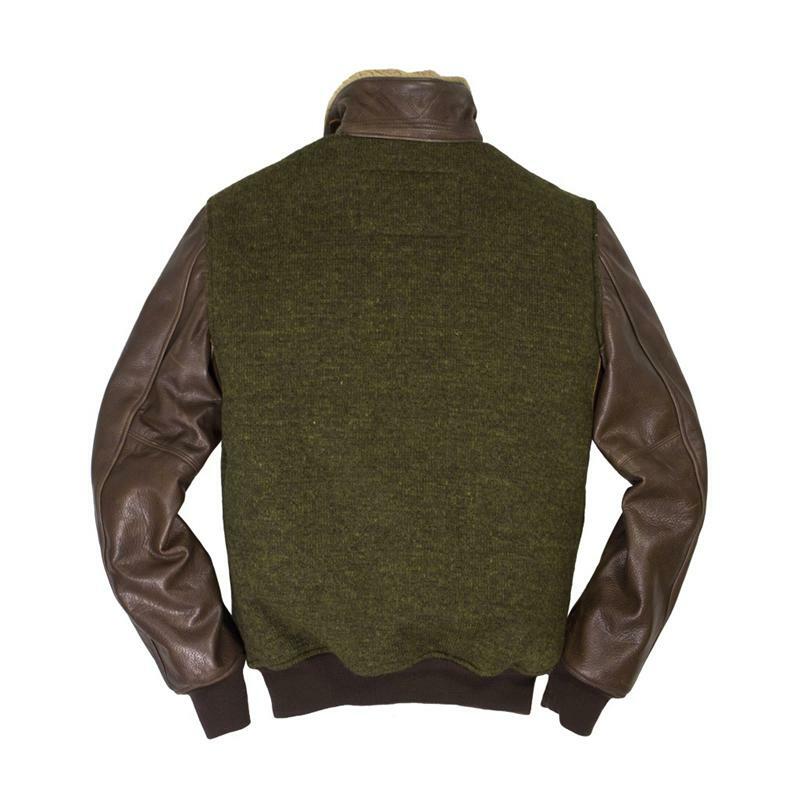 It features wool & nylon cuffs, and a two-way zip for letting you open the jacket from the waist.